This picture was taken a week or so ago when we still had snow sitting on top of everything. I have become a somewhat recent convert of composting. I love it. It makes me feel less wasteful. I love knowing I can throw food scraps in there all year long and in a few month’s time it will turn into rich, nourishing nutrients for any garden. The book “The Green Gardener: Working With Nature, Not Against It” by Brenda Little helped get me started on my composting journey. 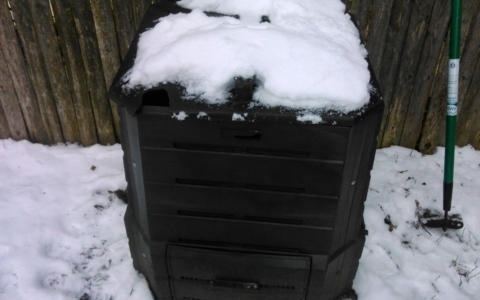 Once you have a compost bin, what do you put in it? Avoid putting any meat or animal products in there (including cheese, milk, or pet litter), although egg shells are fine. I put in tea bags, unused herbs, coffee grounds, egg shells, banana peels, apple cores, rotten fruit, and cooked pasta, rice and bread that I never got around to eating! 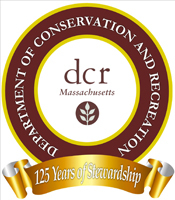 Try to remember to remove the stickers from fruit peels as they do not compost very well. I learned that the hard way. Shredded newspapers also work well as a contribution to compost, as long as you do not include glossy magazine paper. 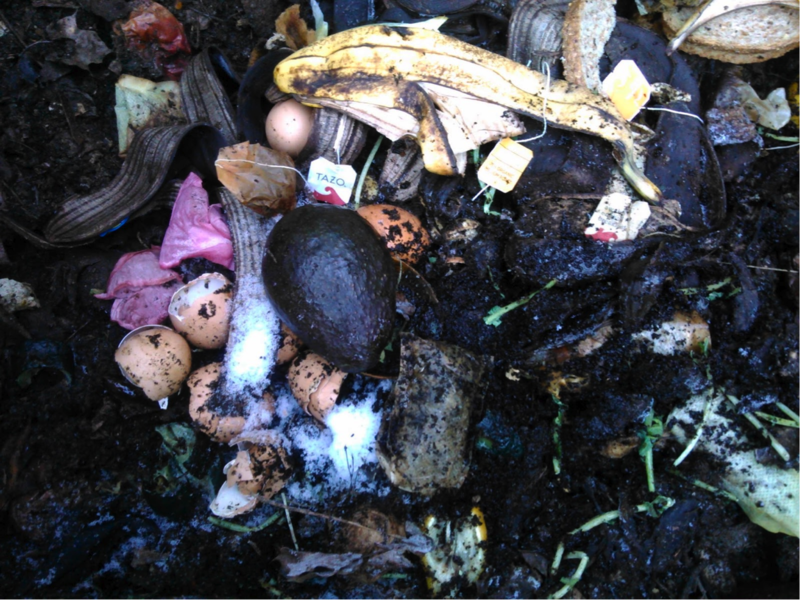 You should stir the compost somewhat periodically with a shovel or a rake to avoid fly infestation. 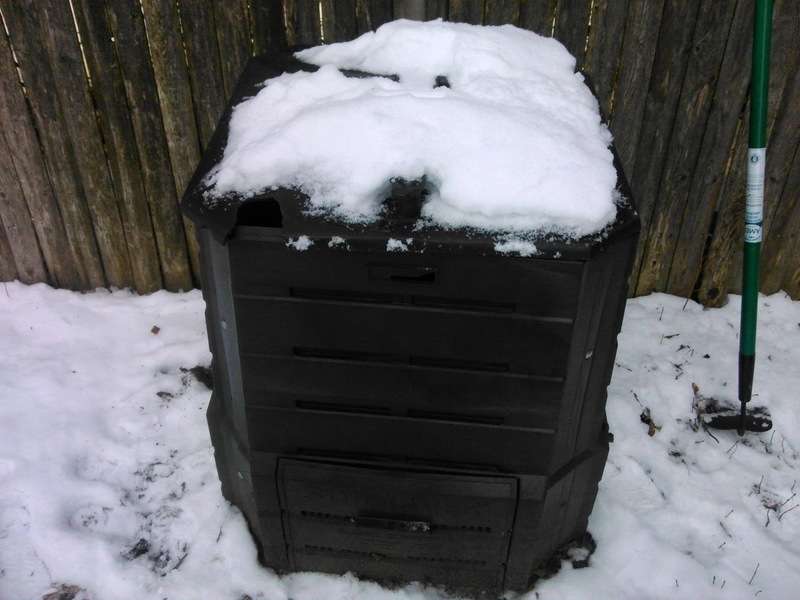 If you are living in a cold area during a frigid winter, don’t worry about stirring the compost. It will be frozen solid, and you will have to wait until the spring to stir it-and that’s okay! If you enjoyed Angelique’s post she has a nature blog over at The Nature of Things but she hopes to become a more regular contributor here, too. We’re looking forward to it!